Equine Assisted Therapy (EAT), also called is about creating an experience, in so much that the client learns about him/herself and others by participating in activities with horses. The activities are created to attend to the client’s goals but still remain open to interpretation. It is based on what the client makes of the activity and as well as the horses’ behaviour that tells the story of the client. It is suggested that Equine Therapy/Horse Therapy can help clients to uncover underlying thoughts and emotions in a matter of minutes, whereas traditional “office-based” therapy can take years. The focus is on ground work, there is no incorporation of mounting or riding the horses. This is to create a natural way of interacting with the horses and develop more safety for the client. Being on the ground with a horse, rather than sitting on their backs creates a stronger sense of equality and allows the horses to engage with the clients in a more organic manner. By introducing this natural interaction it can encourage the horses to behave as they wish, rather than how they are taught. It allows the horses to respond to the client in a very instinctive way which can be very evocative for the client. Within Equine Therapy the equine specialist and the psychotherapist/counsellor will organise a predetermined activity which is based on the therapeutic goals developed by the client and their therapist. The activities are designed to be experiential, incorporate the horse as an active facilitator for change and create a parallel to the clients’ lives. Often there are rules attached to the activities. These rules are to prevent the client from using the tools that they commonly use in their relationships, such as touch, bribery, and talking. These tools tend to be abused in their relationships and are often used to gain benefits from the other. These rules are devised to deliberately encourage clients out of their comfort zone and discover new, healthy ways of interacting with others. These rules were created to encourage the clients to try new ways to get their needs met, without taking from the other. Equine Assisted Psychotherapy is a form of therapy that uses interactions with horses to encourage emotional growth and learning. This means that clients learn about themselves and others by participating in activities with the horses and then process their thoughts, beliefs, behaviours and patterns. This approach is based on the idea that clients have their own answers and that they have the ability to overcome their struggles and find healthier solutions when encouraged and given the opportunity. 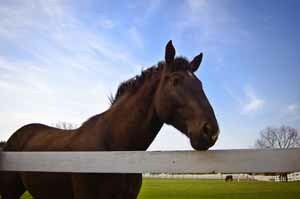 Equine Psychotherapy is a collaborative therapy, where the client, a therapist and a horse specialist all work together. The horse therapist is someone who has spent a number of years working with horses and is well accustomed to identifying horse behaviour. This is so that safety for all involved is a number one priority. 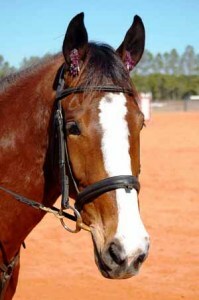 Horses are used rather than other animals because they are large and powerful, which often creates anxiety and fear. By using horses it offers a natural opportunity to face this fear and develop confidence when this fear is overcome. It is also thought that as a horse is a social animal, much like humans, they have a defined place in a hierarchy and prefer being with their peers. Each horse has his/her own individual personality and mood which suggests that what may work with one horse may not work with another. This could also be said for humans! If you want to know more about Equine Assisted Therapy then stay tuned as we are creating a 4 part mini series on this topic. If you want to explore Equine Assisted Therapy in more depth and think it may be something you are interested in doing please Contact Us to discuss in more detail as we have the capacity to perform these sessions via our partners.